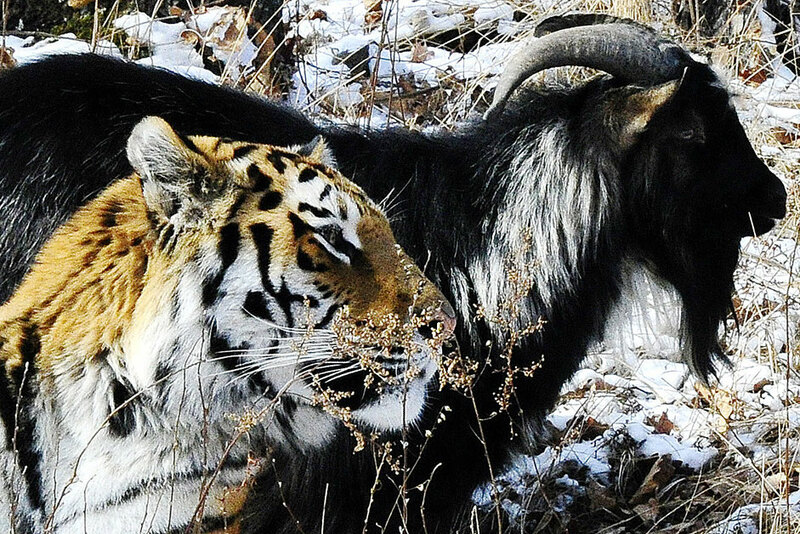 Amur, a Siberian tiger, and Timur, a goat, in Safari Park in the village of Shkotovo. Tigers are fed with live animals twice a week. They use their instincts while hunting the prey. But instead of eating Timur, Amur befriends the goat, Primorye Territory, Nov. 27, 2015.